The Chestnut 1681, the latest model of the 1681 line from JeanRichard, takes the tones of Autumn with a chestnut coloured case coated in PVD. The PVD (Physical Vapor Deposition) coating makes the 44 mm stainless steel case very resistant to scratching and to temperature variations. The structure of the typical cushion-shaped case is distinguished by a series of superimposed elements, consolidated by two lateral bars secured by titanium screws. The guaranteed water resistance is 100 metres / 330 ft. The colour of the case well combines with the the black matt dial against which the beige luminescent material of the hands stand out clearly. 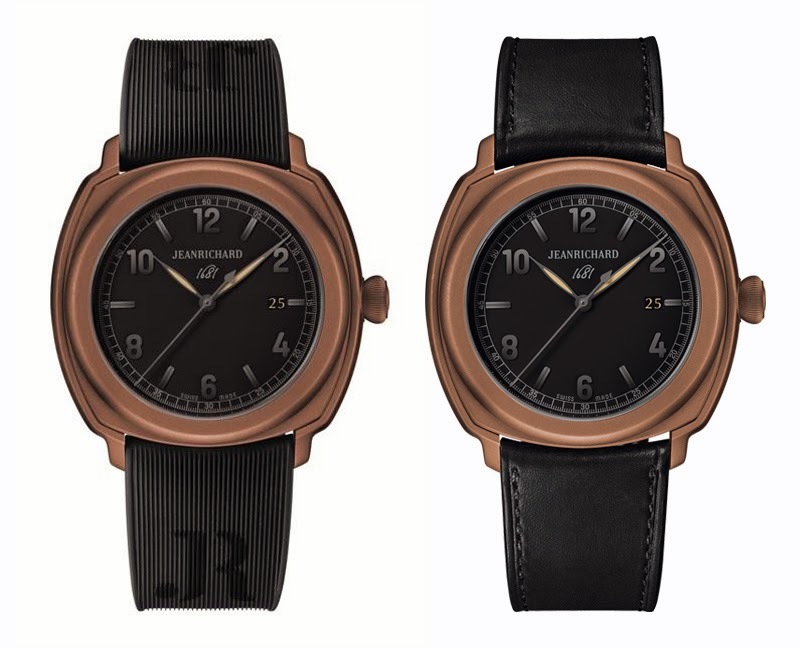 The JeanRichard Chestnut 1681 is powered by the JR1000 self-winding manufacture movement with three hands and date indication. 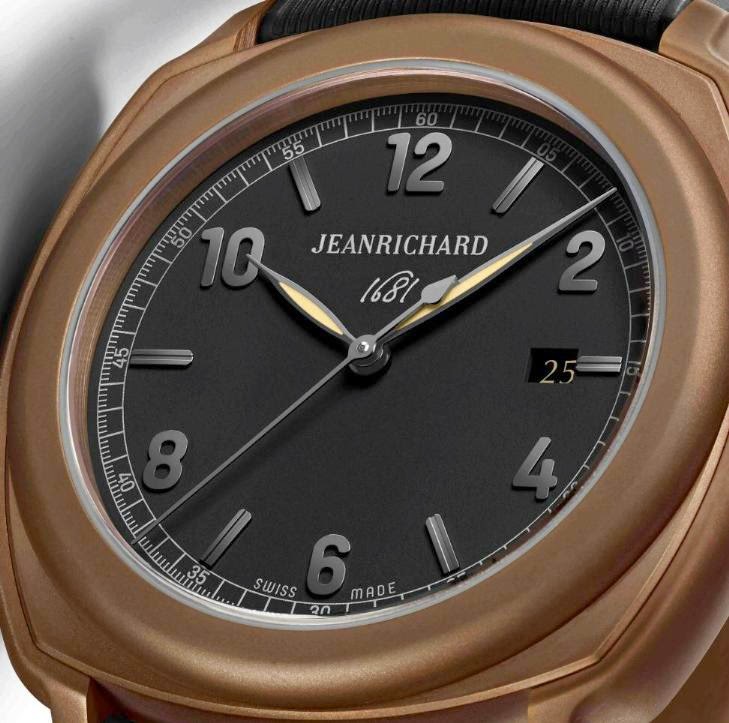 Beating at a frequency of 28,800 vibrations/hour and offering 48 hours of power reserve, it is designed and assembled in the JeanRichard workshops at La Chaux-de-Fonds. 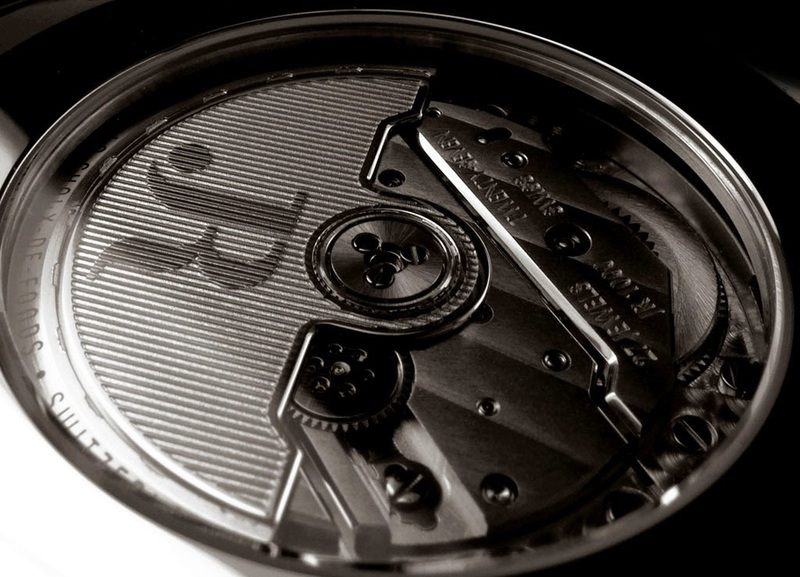 Equipped with a decorated oscillating weight, the movement is displayed through the watch's sapphire crystal case-back. 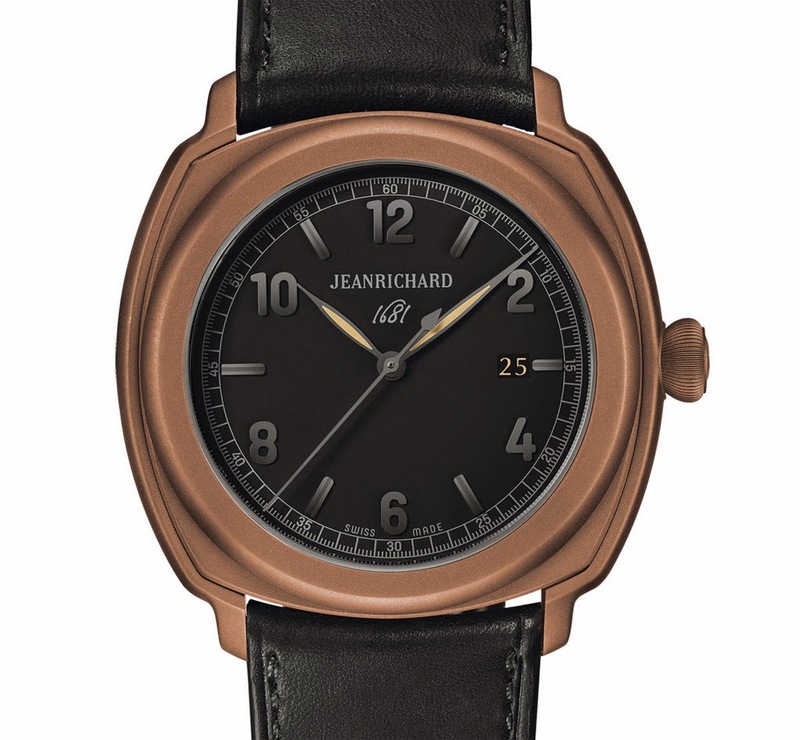 The JeanRichard Chestnut 1681 (ref. 60320-11-653-HB6A) can be matched to a strap in brown or black rubber or black Barenia calfskin fitted with a folding buckle, also clad in chestnut. JeanRichard Chestnut 1681. 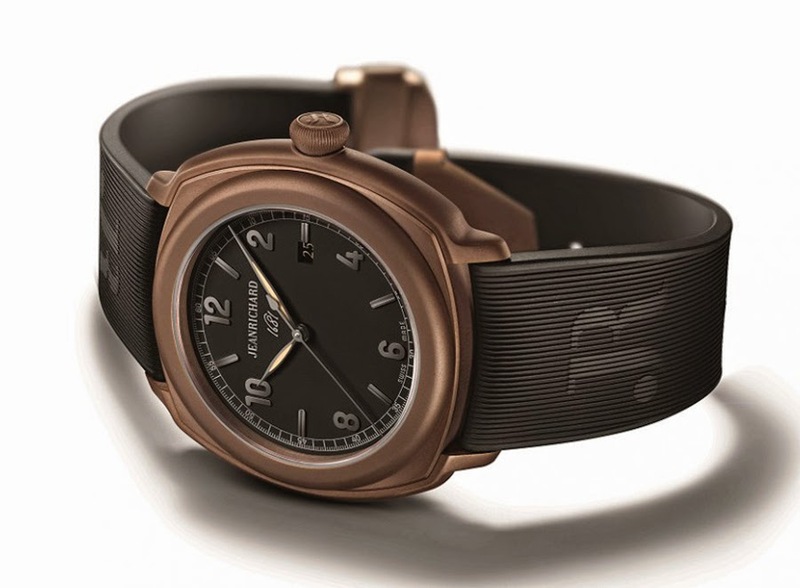 The Chestnut 1681, the latest model of the 1681 line from JeanRichard, takes the tones of Autumn with a chestnut coloured case coated in PVD. The PVD (Physical Vapor Deposition) coating makes the 44 mm stainless steel case very resistant to scratching and to temperature variations. JeanRichard Chestnut 1681 (ref. 60320-11-653-HB6A).